A Weekend of Rail Hacking! 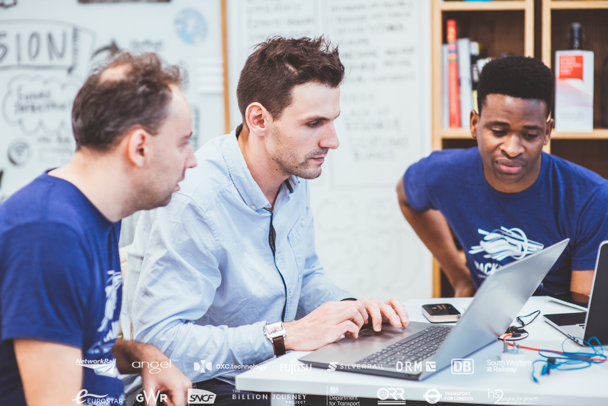 Hackathons are endurance events that bring a host of parties involved in software development together with subject-matter experts in a field to work together to develop products usually in an extremely short period of time, typically a day or two. A long-time staple of the software community, hackathons are increasingly popping up in other industries as they have been shown to be very effective in producing innovative solutions to problems. 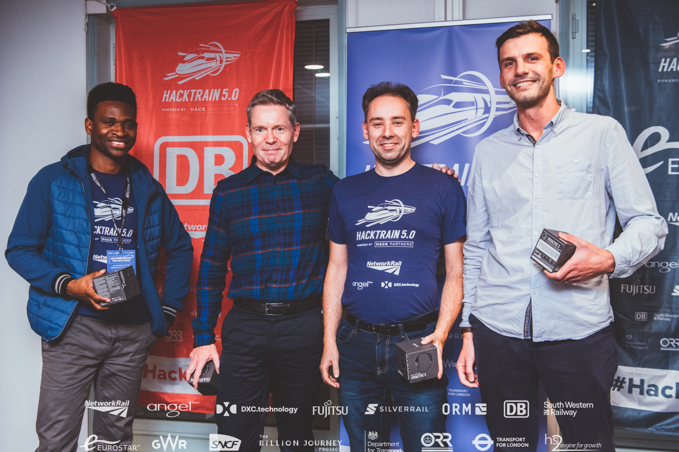 I recently had the opportunity to take part in HackTrain 5.0, a rail transport focused hackathon organised by Hack Partners over the weekend of the 9th to 11th of November and it was an amazing experience. 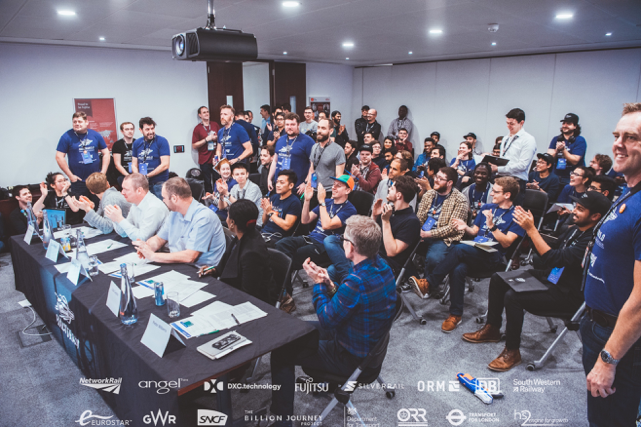 It was a hackathon with a twist, as being rail-focused, it involved hours of coding interspersed with train trips to different cities in different countries. 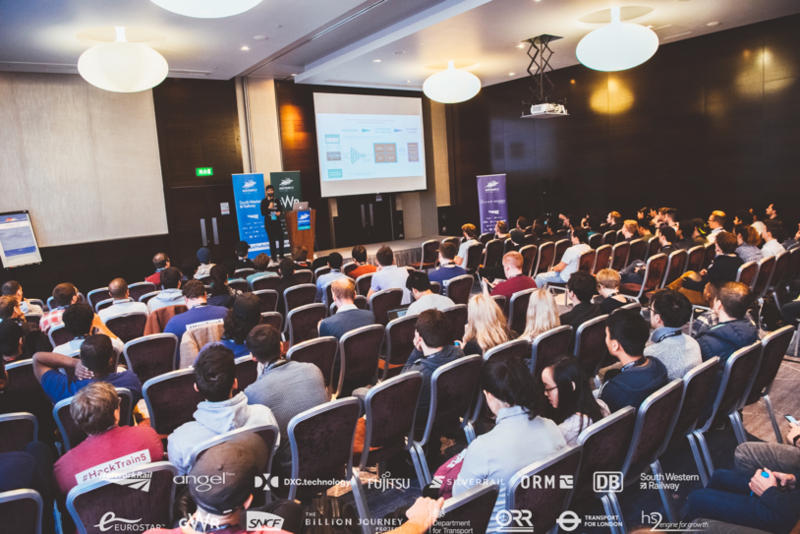 It also had massive support from the industry, with sponsors from a range of industry stakeholders including the Department for Transport, Network Rail, Transport for London, Great Western Railway, South Western Railway, Eurostar and Fujitsu among others. The weekend began with a launch event that saw over 100 participants from all walks of life in the same room with rail industry staff and experts. After a brief introduction to the programme of activities for the next 48 hours by the organising committee, it was the turn of partners and sponsors to present an overview of their various challenges and datasets that they hoped participants could come up with innovative solutions to. These challenges were centred around 4 main themes: customer experience, operational efficiency, rolling stock enhancement and intelligent infrastructure. The presentations were followed by a dinner break where participants could mingle and get to know each other better as well as prod the sponsors and mentors for more information on the challenges. After dinner, participants were divided into two groups: one group would be travelling through two European cities (Paris and Frankfurt) while the other, of which I was part, would visit the UK cities of Milton Keynes and Cambridge. While the European team proceeded to take their leave, the UK team began the process of team formation. 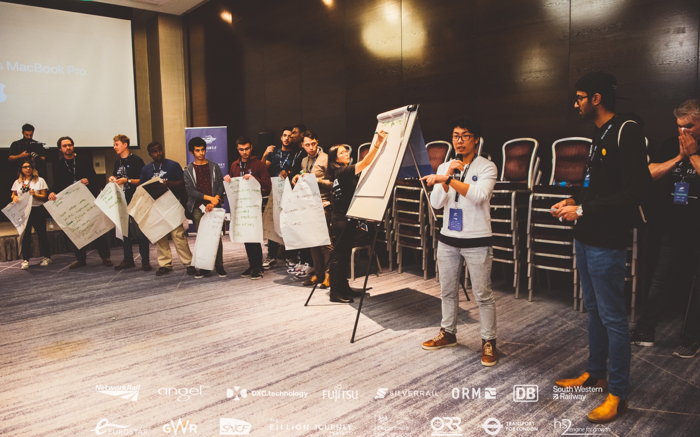 Participants were allowed a minute to present any ideas they had around the challenges and rail travel in general as well as any skills they would want in potential team members. The top 10 ideas were voted for by all, and teams were formed around them. I took over an idea from another participant who pitched two and recruited 2 others to join me. Our idea was an online marketplace for trains where passengers could buy and sell items among themselves while on a trip, in response to the customer experience challenge. After the teams were formed, the group headed to the station to catch our train to Milton Keynes. 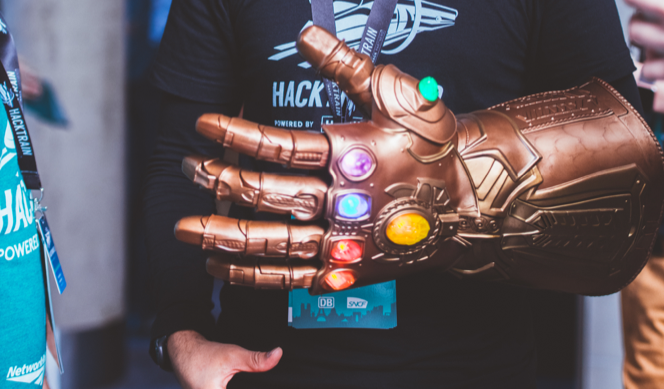 It was an exciting trip with our large group making our way through crowded stations decked in our HackTrain paraphernalia, which included an infinity gauntlet! We had to share carriages with other passengers and after explaining what we were doing sometimes got some feedback on ways our solutions could be enhanced. Our first stop in Milton Keynes was a hotel, where the hacking officially begun. My team began with refining our initial idea by doing some research into its technical feasibility and business viability. Even though the idea was novel and innovative, we decided there were too many issues with it to progress it. After hours of deliberation, we settled on a new idea that took advantage of one of the technologies provided us to solve a long-standing problem with rail travel: accessible travel for disabled passengers. Using the local train Wi-Fi network, augmented with an innovative “Edge Computing“ platform, we proposed an web application that would allow disabled passengers to book travel, require assistance, order food and plan their onward journeys form the train. Our aim was to empower these passengers to make more spontaneous journeys, as the current methods hampered their ability to do this and usually resulted in bad journey experiences and ultimately fewer trips overall. We called our solution Platform C 3/4 to reflect the how our service would serve as a portal to a magical train experience for disabled customers (C). With our idea and plans finally decided, we proceeded to work on building a prototype and prepare our final pitch. Even though we only went to bed quite late into the night, we were satisfied with what we had been able to achieve. The next morning, we headed back down to London, to the next hacking space. This trip was much better, as most teams managed to get table seats so they could work on the train. We spent the afternoon at the ORM offices and continued working till evening, when we set off for the final hacking space in Cambridge, the St John’s Innovation Centre. We nearly lost some members in the chaos of the Saturday crowds and were delayed for a while due to this. However, we finally made it to Cambridge safe and sound in the evening, quickly set up and got to coding our prototypes. Each team had a mock ‘dragons den’-style presentation where we pitched our solutions to the HackTrain team and mentors, who acted as the dragons. This session proved very useful and provided very constructive feedback on our pitches in terms of delivery, content and challenge focus. We spent the entire night incorporating this feedback as well as working on our prototype. 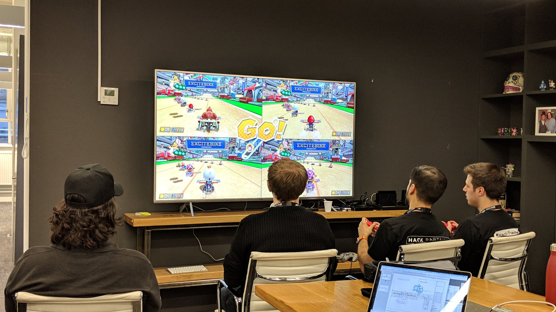 It wasn’t all work and no play though, as the teams took turns to take part in a Mario kart competition, which turned out to be as competitive as the hackathon itself. Our final trip came the next morning, where we joined up with participants from the European train back at the Fujitsu offices in London, which was to host the finale of the hackathon. Despite most people staying up the whole night, the energy was amazing, even as teams rushed to make last minute fixes to their codebase and submit their work to beat the submission deadlines. At about two o’clock, the final pitches began. Teams were given four minutes to present their work and the grilled with questions from the judging panel. A lot of innovative solutions were presented and every team had a working demo to show. At the end of the day, even though my team did not place in the top 3 overall, we were able to nab the top spot for the best solution around South Western Railway’s customer experience challenge and came away with cool prizes. Not bad for a weekend of work J . All in all, it was a great experience that gave me a lot of insight into the issues, priorities and future direction of the rail industry. It was also a good opportunity to sharpen my skills in idea generation and prototype development through its agile design sprint-like process. Finally, I made lots of new friends and industry contacts that would be valuables resources in my future projects. 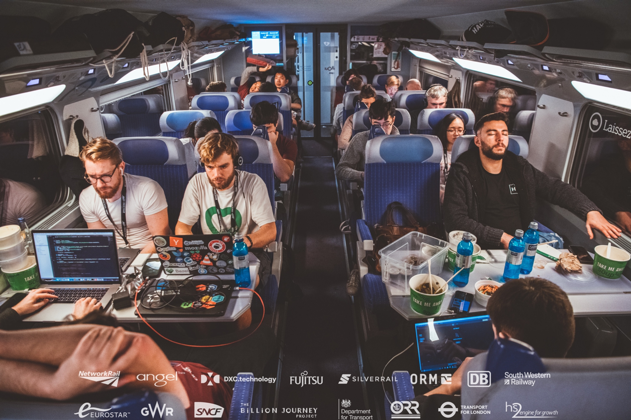 You can find more information about future HackTrain events by following them on Twitter at https://twitter.com/TheHackTrain.